Boom! Mobile operates on VZW’s postpaid network that includes extended digital coverage! Plans include VoLTE HD Voice calling, and mobile hotspot! You know exactly what you want in a cell phone plan, but now you need to research who is selling the cheapest cell phone plan to give you what you want. Your research can stop here, because the BestMVNO guide to cheap cell phone plans is just what you are looking for. For over 3 years, BestMVNO has been researching cell phone plans and providers and sharing that information with its readers. This guide aims to be a reference for all those in search of a cheap phone plan and will constantly be updated with all of the latest low cost plans. GSM plans start at $4/month with 392 potential plan options and 24/7 customer support. Pause your plan and hold onto your number for just $2/month in service fees. Super LTE Plans start at $5.50/month and use the nation’s largest 4G LTE network to provide service. Pause your plan and hold onto your number for just $2/month in service fees. When most companies market their plans as containing unlimited data, they typically are referring to plans with data throttling. In this section, I will lay out the cheapest unlimited data plans that contain data throttling as well as the cheapest one to contain unlimited LTE data. EcoMobile and MetroPCS are currently the cheapest pay per single month providers that use T-Mobile’s network to offer unlimited talk, text and data with the first 2 GB at 4G LTE speeds. Subscribers on either network will pay $30/month for their plan, although MetroPCS’s cell phone plan includes taxes and fees in the price, while EcoMobile’s plan does not. Those that are willing to pay for service several months in advance can pay as low as $15 month for 2 GB of data on T-Mobile’s network by subscribing to one of these secret and maybe not so secret plans. TextNOW offers a plan that features unlimited talk, text and data with the first 1.5 GB at 4G LTE speeds for $19.99/month making it the cheapest provider to offer service on Sprint’s network with the specified feature set. TextNOW differs from a lot of other carriers in that it uses a Wi-Fi first approach for phone calls. Whenever possible, TextNOW will use Wi-Fi to route your calls, and if Wi-Fi is unavailable, Sprint’s cellular network will be used. TextNOW also offers service on T-Mobile’s network for those that are interested in that. 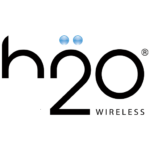 H2O Wireless offers a plan that features unlimited talk, text and data with the first 2 GB at 4G LTE speeds for $27/month with autopay billing enabled. As a bonus, H2O Wireless’s plans also include unlimited international calling and texting, although download speeds are limited to 8 Mbps. See a review of H2O Wireless. 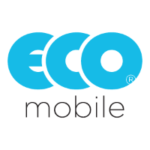 EcoMobile offers a plan that features unlimited talk, text and data with the first 2GB at 4G LTE speeds for $30.00/month. This makes it the cheapest Verizon based provider with the specified feature set. One thing to note about Verizon MVNO’s however, is that they have their download speeds limited to about 5 Mbps and upload speeds limited to about 2 Mbps, unless they are a Tracfone owned brand in which case there are no speed restrictions. Verizon MVNO’s that have speed restrictions such as EcoMobile, should still be fast enough for most users. Data Maximizer-reduces video streams to DVD quality of about 480p so your data lasts longer. International texting available for $5 month, global calling available for $10/month. Walmart Family Mobile offers unlimited talk, text and data with the first 3 GB at 4G LTE speeds for 29.88/month. Walmart Family Mobile is another Tracfone owned wireless brand. Here I feel a runner up should also be mentioned. Lycamobile now offers a plan with unlimited domestic and international talk and text with the first 6 GB of data at 4G LTE speeds. For a little more than $5/month in cost over the Walmart Family Mobile plan, you get 2x the amount of high speed data with Lycamobile, and that is a substantial difference. Those that are willing to pay for service several months in advance to save significantly more, should have a look at one of these secret plans. Red Pocket Mobile along with Boost Mobile offer the cheapest plan on Sprint’s network to fall into this category, with each featuring unlimited talk, text and data with the first 3 GB at 4G LTE speeds for $30/month. The Boost Mobile plan includes 50 minutes of off network voice roaming to use every month. Unlimited audio streaming that does not count against your high speed data cap from select providers such as Spotify and Pandora is also included. Unfortunately, service on Boost Mobile will require you to buy a new phone, unless you have one of the few devices that Boost Mobile will allow you to bring to its network. Taxes and fees are included in the listed price, making Boost actually a little cheaper than Red Pocket’s plan. Red Pocket’s plan differs from Boost Mobile’s in that international calling and texting is included. The MVNO also supports bring your own device, although taxes and fees are not included in the price shown. ROK Mobile offers unlimited talk, text and data with the first 4 GB at 4G LTE speeds for $35/month. The plan also includes 24/7/365 roadside assistance as well as international calling. Once again Red Pocket Mobile’s $30 plan takes the cake. Unlike the Sprint variant of this plan, unlimited international texting is not included, however calling is. Cricket Wireless offers unlimited talk, text and data with the first 4 GB at 4G LTE speeds for $35/month with auto pay billing enabled on AT&T’s network. Without auto pay billing enabled the price is $40/month. One thing to note about Cricket Wireless is that the LTE download speed is limited to 8 Mbps which should be sufficient for most users. Taxes and fees are included in the price. Here we find Walmart Family Mobile in our list once again. This time its for the company’s $39.99/month plan which features unlimited talk, text and data with the first 9 GB at 4G LTE speeds before data throttling. Straight Talk Wireless, is the top plan in this data range. For $45/month subscribers get unlimited talk, text and data with the first 8 GB at high speeds before throttling. Those that signup through Walmart for the plan before 11/20/17 will be able to get 10 GB of data with the plan instead of 8 GB. Of course if you are considering spending $45/month on a cell phone plan, it is strongly advised that you have a look at this list of unlimited LTE data plans, as $45 is the price point that those type of plans start at. H2O Wireless is a winner on AT&T’s network. For $36/month with auto pay billing enabled, subscribers get unlimited talk, text, international talk and text, and data with the first 6 GB at high speeds. AT&T offers good value with it’s Prepaid brand. For $40/month you get unlimited talk, text and data with the first 6 GB at full 4G LTE speeds. Bonus features include unlimited talk and text to Mexico and Canada, and the ability to use your phone, data included, while roaming in Mexico and Canada. Any unused data you have in your account after one billing cycle rolls over into your account for one more billing cycle. Simple Mobile is currently one of the two cheapest provider’s in the USA to offer unlimited talk, text and LTE data for personal use at a price of $45.00/month with auto pay billing enabled. Without auto pay billing enabled the price is $50/month. Bonus features include unlimited international calling and texting as well as the ability to use your phone at no extra charge while roaming in Mexico. Simple Mobile operates on T-Mobile’s network. ROK Mobile also offers an unlimited LTE data plan for $45/month, although it operates on the Sprint Network. If you need another unlimited LTE plan on another network, you can visit this list of unlimited LTE data plans to find out who has the cheapest plan on your network of choice. This is a bit of an odd category, but I will attempt to tackle it. A data only plan could be for anything. It could be for a hotspot device, a tablet or just a phone plan. Here I’ll present you with two SIM plans that can be used with a cell phone, as well as two plans that must be used with a hotspot device. All plans contain at least 2 GB of data and cost under $30. US Mobile and Tello allow you to custom build your own phone plans, including data only phone plans. Both providers allow you to tether your device and use it as a wi-fi hotspot if you’d like to. US Mobile operates on T-Mobile’s network, and offers a data only plan for $22/month that includes 3 GB of data. For $8 more ($30 total) you can step up to their 5 GB data plan, that’s an additional 2 GB of data priced at $4/GB. Unfortunately, data does stop once you run out in a month, it is not unlimited with US Mobile. Tello operates on Sprints network. For $21 month you can get a data only phone plan that contains 2 GB of 4G LTE data. Data is unlimited with Tello, so once you run out of high speed data you still can use your device although at much slower download and upload speeds, typically no faster than 128 kbps. Tethering is allowed with Tello. If you need a hotspot on AT&T, you can sign up with the carrier for $25/month to get 2 GB of data to use. Data is not unlimited, and once you run out in a month you can add more at a cost of $10 for 500 MB. Verizon’s cheapest data only plan starts out at $30/month for 2 GB of data that is not unlimited. The plan is for hotspots, tablets and other network capable devices. Those that find that 2 GB of data is not enough can step up to the $35 plan and get 4 GB of data. Verizon offers several other plans as well. This section is for those of you who don’t need a plan with unlimited anything. You may be just looking for a cheap phone plan with a limited amount of talk, text and data. I’ve put together a few plans here that should help you find what you need. On Sprints network, the cheapest plan that does not include unlimited everything, is none other than a completely free cell phone plan offered by FreedomPop. FreedomPop offers a plan that includes 200 minutes of talk, 500 texts messages and 500 MB of data at no charge. The company allows you to bring your own device or you can purchase one from them if need be. Once again, FreedomPop offers a solution for you on AT&T’s network with a completely free cell phone plan. The features of this plan are just slightly different than what’s offered for their Sprint version. This AT&T based free plan includes 200 minutes, 500 text messages but only 200 MB of data to use each month at no cost. Phones are available for purchase if need be, and you can bring your own device to the network with the purchase of a SIM card. Red Pocket offers a low cost phone plan for those who don’t need unlimited everything. For $10/month subscribers get 500 minutes of talk, 500 text messages and 500 MB of data to use on their choice of any major network in the USA which includes Verizon and T-Mobile to go along with Sprint and AT&T. Unlimited international calling is included on every network, while international texting is included on every network except for Verizon’s. There are a lot of ways to analyze the cheapest phone plans for two people. What is the cheapest phone plan for two will of course vary based on how much data is needed. For the purpose of this guide, plans were selected that contained at least 2 GB of data to go with unlimited talk and text. It should be pointed out that sometimes a plan for two people is more expensive than two individual plans. With those ideas in mind, here are the cheapest phone plans for two people. The cheapest plan for couples that want service on T-Mobile’s network is one offered by MetroPCS. The plan includes unlimited talk, text and data with the first 2 GB on each line at 4G LTE speeds for $50. The plan also comes with mobile hotspot and Wi-Fi calling. As a runner up, subscribers may want to consider a plan from Walmart Family Mobile, that includes unlimited talk, text and data with the first 3 GB per line at high speed for $54.76/month. The cheapest plan for couples on Sprint’s network is Boost Mobile. Boost Mobile’s plan for two includes unlimited talk, text and data with the first 3 GB at 4G LTE speeds for $60/month. The plan includes unlimited music streaming that doesn’t count against your high speed data cap from select providers such as Spotify and Pandora. 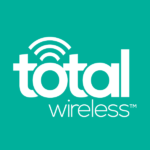 Total Wireless offers the cheapest plan for couples with more data than any other provider regardless of being on Verizon’s network or not. For $57/month, a couple can get unlimited talk and text with 16 GB of shared 4G LTE data to use each month. Recently FreedomPop began offering family plans, and when it did, it instantly became the cheapest provider to use AT&T’s network and offer a plan for couples. For $54.99/month subscribers get unlimited talk and text with 4 GB of shared 4G LTE data. Alternatively, subscribers can combine two H2O Wireless $27 plans together to get unlimited talk, text and data with the first 2 GB per line at high speeds. There are plenty of options available for those that need a cell phone plan with unlimited international calling and texting. For this guide, the cheapest plans to include 1 GB of 4G LTE data were used to find a plan. For $23.75/month with auto pay enabled, you can subscribe to Simple Mobile’s network and get unlimited talk, text and data with the first 1 GB at 4G LTE speeds. You’ll also get unlimited international calling to landlines in 64 countries and mobile phones in nearly 20 countries including Mexico, Canada, India and China. As a bonus, you can also use your phone and get full service roaming while traveling in Mexico. H2O Wireless is the top choice for unlimited talk, text, and data on AT&T’s network with international calling and texting for just $27/month. Two GB of 4G LTE data is included in the plan. Unlimited international calling and texting is available to over 50 countries. Red Pocket Mobile’s $30 plan includes 3 GB of high speed data to go with unlimited domestic talk and text and unlimited international calling and texting. The plan is available using both Sprint and Verizon’s network, but an option for T-Mobile and AT&T’s network are also available at the same price. Up to 70 countries are available to call to. International texting is unavailable on the Verizon network. Admittedly, I may be looking at pay as you go plans the wrong way, as I feel it is a category of phone plans that should just go away. Currently, there are many monthly plans available that work out to be cheaper than many pay as you go plans which makes the latter somewhat obsolete. FreedomPop has already been covered as a choice for monthly phone service several times so I won’t go into much detail here. At a cost of $0/month for basic service with FreedomPop, those pay as you go plans offered by other companies are a hard sell for me. One pay as you go plan I do appreciate comes from Tello, a Sprint MVNO. I like Tello’s pay as you go option, because with it you are not required to pay for service 30, 60, 90 etc days in advance like you have to with so many other providers. Instead, you simply deposit a minimum of $10 into your account and your line will remain active forever, as long as you use the phone at least once every 90 days. Charges to use the service are 1¢ per text, 2¢ per MB, and 3¢ per minute. At this point you may be asking, “what is a secret cell phone plan?” A secret cell phone plan is one that a company does not explicitly advertise on its website and provides subscribers with additional ways to save. One such provider is Red Pocket Mobile. Red Pocket Mobile often sells phone plans on Amazon as well as eBay that can’t be found on the MVNO’s website. For instance, Red Pocket provides a plan on Amazon that includes unlimited talk and text with 3 GB of high speed data that can be used on any network for $21.25/month. Similarly, an eBay plan exists that includes 100 minutes, 100 text messages and 500 MB of monthly data that can be used on any network, priced annually at $60 year. Mint SIM is another MVNO that offers its customers a way to save over traditional wireless carrier pricing models. Those that are willing to pay for service for anywhere between 3 months to 1 year in advance can save big. For instance, a $15/month plan with unlimited talk, text and data with the first 2 GB at high speed is available to those that are willing to pay for service 1 year in advance. Likewise, a plan with 10 GB of data is available for an average cost of just $25/month. Lycamobile and Ultra Mobile both offer unlimited LTE data plans for about $37/month when you purchase service for 3 months in advance. In return for purchasing service 3 months in advance, each MVNO gives you your 4th month of service free of charge to reach that $37/month price point. Simple Mobile offers its unlimited LTE data plan for $37.50/month for those that have a subscription to Amazon Prime. As covered earlier in this guide, the plan is normally priced at $45/month with auto-pay. This guide has covered a lot of options, but perhaps I still missed some. Is there another type of cheap phone plan that needs to be covered? Has a new and cheaper option come out that I have missed? Leave a comment or send and email, and if it makes sense to do so, I’ll be sure to update this article with those ideas. Thanks for the tip. I’m looking into this. Fair enough if data is your main priority. Personally I look at the whole package. Twigby has better customer service, verizon roaming and is not a hybrid wifi calling company with software baked into their phones. Textnow has an extra 0.5gb and you save a couple of bucks. Googlevoice will achieve the same ability to use your number via wifi and on other devices with a better ad free experience. So not something that is limited to textnow subscribers. I’d rather have twigby for sprint with unlimited talk text and 1gb with unlimited 2g afterwards for $25 vs textnow. Roams on verizon for talk/text and customer service is excellent. Textnow is sub standard vs this. Tello has unlimited talk, text and 2G data for $19 a month. This is truly the best plan.